A mix of French script and fanciful imagery with a Parisian inspiration gives this accent chair an elegant yet playful look. The gray pattern pairs wells with the neutral linen-like fabric and simple styling of the chair with its rounded track arms. 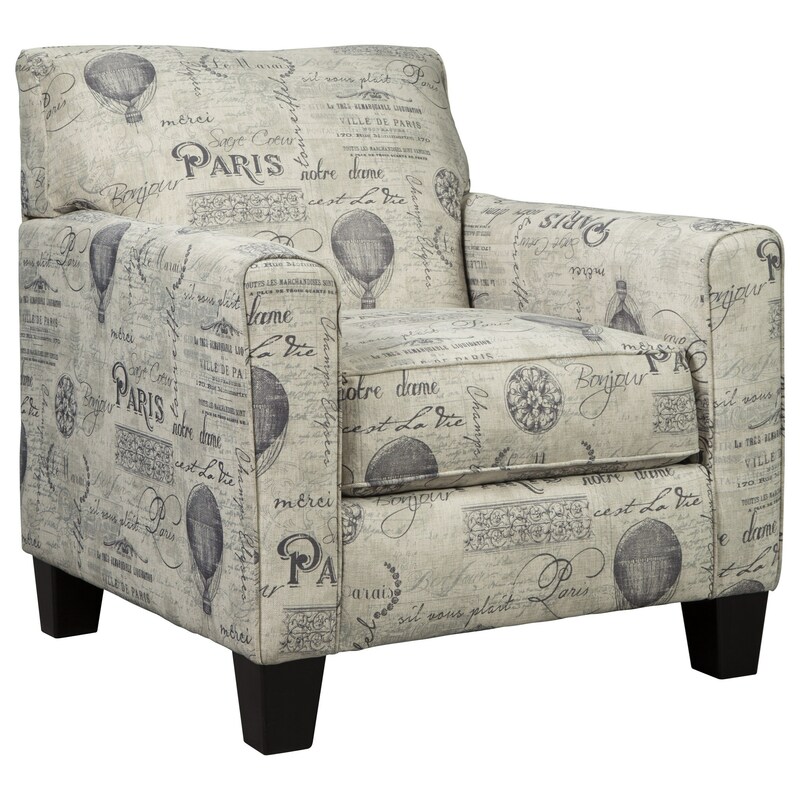 The Nesso Accent Chair with Paris Script on Linen-Like Fabric by Signature Design by Ashley at Value City Furniture in the New Jersey, NJ, Staten Island, Hoboken area. Product availability may vary. Contact us for the most current availability on this product.